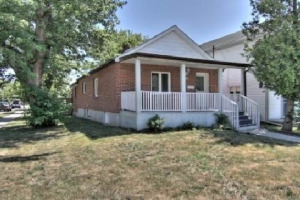 Charming Front Porch, Garage, 3 Car Parking, Large Yard With Room To Garden And Play! New Furnace (Nov '18), All Elf's, Fridge, Stove, Washer & Dryer. Side Entrance For Potential 2nd Unit - Currently Single Family. Close To Humber College.